There are few destinations on earth that have as much to offer as Peru. This astonishingly varied country boasts panoramic mountain ranges, vast deserts and beautiful beaches. You can explore tropical jungles by canoe, or visit rich historical and archaeological sites. Wildlife abounds and indigenous culture is alive and vital. Horse riding opportunities in Peru are also vast – from horse riding holidays on the Inca Trails of Machu Picchu, to the archaeological sites of Coastal Peru. Hidden Trails can tailor one of the perfect Peru horse riding holidays we offer for you. Choose from horseback tours, hiking excursions or sightseeing - from the Nazca Lines and Machu Picchu, to the cloud forests and the Amazon, as well as excursions to lake Titicaca and La Paz in Bolivia. Starting from the ancient city of Arequipa, we venture into the Colca Valley and Canyon on Peruvian Paso horses - into a land of imposing snow-capped volcanoes, narrow gorges, artistically terraced agricultural slopes that predate the Incas, arid desert landscapes and vegetation, and remote traditional villages, many visibly scarred by seismic tremors common in southern Peru. .
Cusco is your top destination for horse riding vacations in Machu Picchu and the Inca Trails. Hidden Trails have many horseback vacations to choose from here, including the Classic Inca Trail and our first class Machu Picchu Lodge Ride. Those wishing to combine Machu Picchu with a breathtaking journey through the Amazon rainforest will want to embark on our Amazon Extension into Manu . Peru is blessed with a rich and ancient past and a vibrant present, making it one of South America's most popular travel destinations. Thousands of archaeological sites are found all over the country, ranging from 10,000 year old camp sites of early hunters to the monumental stone walls of sixteenth century Inca Cusco. 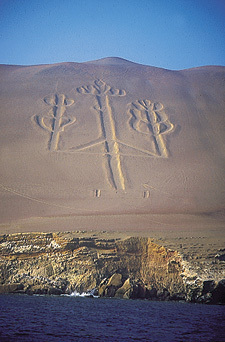 Indeed, it is difficult to go anywhere in Peru without stumbling upon some ancient reminder of Peru's past. By 2000 B.C. ancient Peruvians were building monumental temples and irrigation systems and had domesticated the llama and a variety of food crops, many of which like the potato are very important in today's world. Peru's museums are filled with amazing ceramics and textiles designed and created by the pre-Inca civilizations, such as Chavin, Paracas, Nazca, Moche and Wari. Whilst the wealth of gold, silver and copper objects bear witness to the sophistication and technological mastery of Moche metal smiths. The short lived Inca Empire came to an end with the arrival of the conquering Spaniards in 1532. Much of the ancient technology and social structures that made this great empire possible, have disappeared over the centuries, but others like rich weaving tradition, have endured. The legacy of colonial Peru is found in the churches, and vice regal mansions built by the Spaniards, who made Lima the seat of the Spanish viceroyalty until the country obtained independence from Spain in 1821. The climate of Coastal Peru is hot and dry with temperatures between 18°C and 33°C from December to March, and between 10°C and 26°C with mist and light rains from April to November. 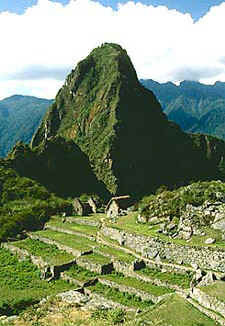 Because of the altitude, the weather in Cusco (Machu Picchu) is relatively fresh. The annual average in the city goes from 10° and 11° Celsius (50° to 52° Fahrenheit). The temperature is relatively stable during the summer and winter.